HÀ NỘI — Việt Nam Construction and Machinery Installation Corp 18 (Lilama 18) will undertake the construction of the Hải Linh Vũng Tàu project on liquid natural gas (LNG) tank. The project was signed recently by Lilama 18 and Hải Linh Company Ltd, making Lilama 18 the first company in Việt Nam to build and install the LNG tank. Under the contract, Lilama 18 is responsible for building and installing three LNG tanks, with total capacity of 219,000cu.m, which are expected to be completed within one year (end of the second quarter of 2019). The LNG tank is the most complicated equipment in terms of technical requirements in the field of oil and gas in Việt Nam. 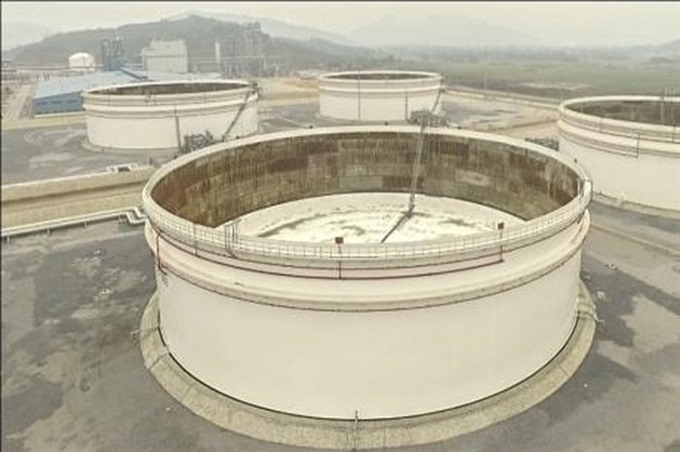 The material used to build the tank is 9-nicken alloy steel. The welding rods, welding process and welders’ skills are all rigorously tested, ensuring they meet international standards for an impact test at -190 degree Celsius.